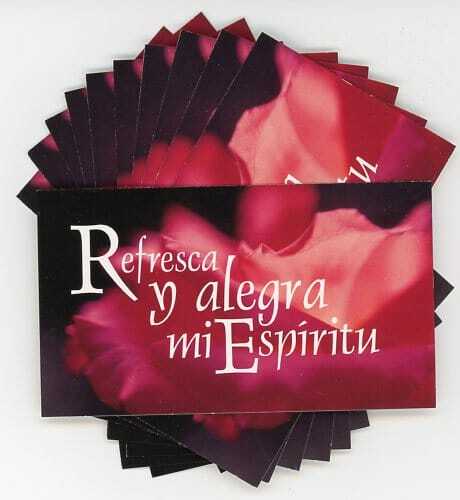 This is the “Refresh and gladden my spirit” prayer in Spanish. 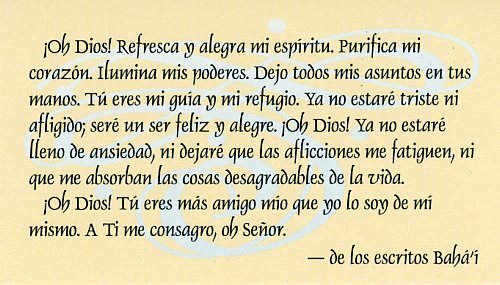 The Spanish card has been redesigned to more closely match the English version so you will know which prayer you are giving out to people. 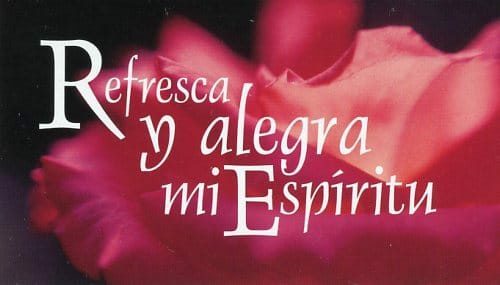 This is the “Refresh and gladden my spirit” prayer in Spanish. 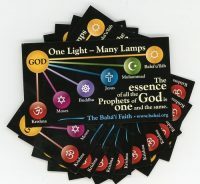 The Spanish card has been redesigned to more closely match the English version so you will know which prayer you are giving out to people. 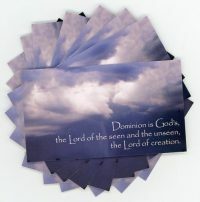 The picture shows both the front and back of the card. It is 2×3.5″ and full-color on both sides. You can never go wrong giving out this prayer. Everyone loves it.